When you want more space in your home, undertaking a loft conversion is less hassle and generally cheaper than moving houses. When moving houses, stamp duty land tax comes into play. The current threshold is £125,000 for residential properties and £150,000 for non-residential land and properties. In order to avoid this, many people have moved to increasing the space they already have – through home extensions and loft conversions. 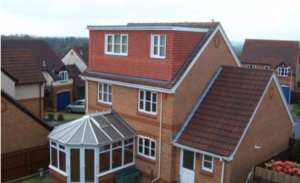 There are four main types of loft conversion which are dormer loft conversions, hip to gable loft conversions, mansard loft conversions and roof light loft conversions. Each type has their own distinct features. 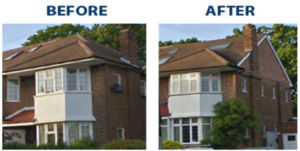 This type of loft conversion is the most popular option when it comes to loft conversions as it is simply an extension to your existing roof. Just like what the image has shown, it projects vertically from a sloping roof and it would create additional floor space and headroom for your house. This dormer loft conversion requires no dramatic changes to your roof and you are also allowed to install windows to your new loft to add more natural light into your home. If you are aiming to be cost effective as well as having the least amount of structural work, then a roof light loft conversion would be suitable for you! The only changes made are the addition of windows like what is shown in the image. Rooflights are known to channel more light into a room than standard windows. 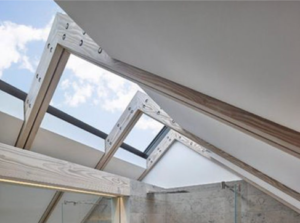 Especially rooflights with a frameless design. This is because of their sky facing orientation, which means they capture more sunlight throughout the day as the sun moves across the sky. If you live in a semi-detached or end-terrace house, the best type of loft conversion for you is the hip to gable loft extension. As you can see in the ‘before’ image, the side roof is still a slope but once it is removed, the end wall would be built up straight to form a new vertical gable as shown in the ‘after’ image. This type of conversion has a flat roof, with the back wall sloping inwards at an angle of 72 degrees. Windows are usually housed within small dormers. 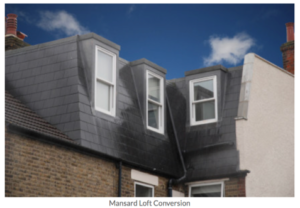 However, Mansard loft conversions normally require planning permissions, due to the large changes to the roof shape and structure. For more information on what type of loft conversion is most suitable for you and your home, please feel free to contact us and we can start discussing your project.